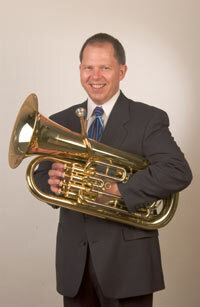 Euphonium music tips for students and players - Define Excellence – What Is Great? "Define Excellence – What Is Great?" When learning to play a musical instrument, it is important to define excellence – what is great? How do you know what better is? It is easier to progress when you are able to measure your improvements by a set of established standards. The best musicians on your instrument provide the best standards of excellence to observe. One of the most important things they all have in common is that they do their basics at the highest levels. Everything you can think of as the simplest, easiest, most basic and fundamental skills used to play you instrument, they do to near perfection! Tone, rhythm, articulation, dynamics, intonation, you name it. No matter how simple, they have mastered their control of it on the instrument. In fact, they are always working to do their basics even better! This is because they understand that the basics are the key to all advanced skills. Advanced skills are really just the basics taken to some kind of extreme: higher, lower, louder, softer, faster, slower, etc. Many players don't understand this and neglect to learn their basics well enough. They then have a variety of problems as they try to develop their advanced skills. They are often unwilling to be beginners and cheat themselves from learning their basics. Be a beginner. Be brave enough to be a beginner. Admit you don't know how, so you can learn how correctly. Make sure that you take the time to learn your basics well. This will open the door to learning your advanced skills well. Complicated music is easy to fake (and too many players do), but you can't fake simple. It either sounds great or it doesn't. Besides, if you can't play simple music really well, how do you expect to play complicated music at all, much less well! The best musicians constantly strive to make their basics even better, and so should you. Only then will you have the ability, which gives you the freedom, to play your instrument so well that you can make music at the highest levels you can imagine.